Here is what veteran sailor and Americas Cup Racer Terry Hutchinson does before the start of a race. I like this because it’s interesting to know how the big boys prepare before a race. This is Terry’s recent article published in Sailing World. It’s one of the first things you learn in grade-school gym: the value of a proper warm-up. But getting ready for a sailing race requires more than 20 jumping jacks and some hamstring stretches. Terry Hutchinson takes you though his pre-race plan. Whatever time you have, use it wisely. I will almost always prioritize tactical and boatspeed research over boat-handling practice. You are not likely to solve bigger boat-handling issues in this short period of time. Instead, you’ll likely chew through all your warm-up time and go into the race without a strong idea of what to expect or whether the boat is going well in the conditions. That is a great rundown of what to do before a start. When you get to the countdown before the start things can be hectic. I like Terry’s ideas for taking some time to chill and talk about the start and how the race should go. This Article is by Terry Hutchinson and was published on the Sailing World Website. Terry Hutchinson was raised and still resides in Harwood Maryland and is a 1986 graduate of St. Mary’s High. He is a former Old Dominion All-American. 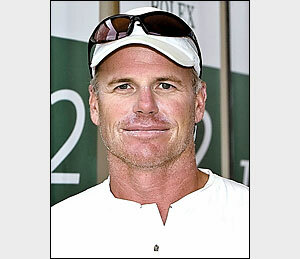 He has an extensive resume as a professional sailor that includes multiple America’s Cup campaigns. Check out Terry Hutchinson’s article on how to recover from OCS (if you did not know what OCS means, here it is: “on course side” it’s a phrase used in sailboat racing to indicate that a boat has prematurely started the race or did not properly start the race). Check out this pre-race start action with ORACLE Racing and ARTEMIS Racing (Terry Hutchinson).